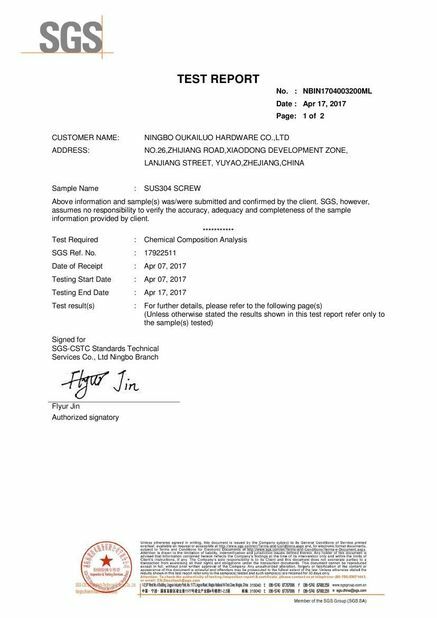 Manufacturer directly selling price and reputation guarantee quality. Sample Availability: Samples are available. Price terms: FOB, CIF, CFR, EXW, and other trade terms. After Sales Service: We will follow up the request strictly for customers, and will help customers solve problems after sale. 1.OEM Accepted : We can produce any of your design. 2.Good Service : We treat clients as friend. 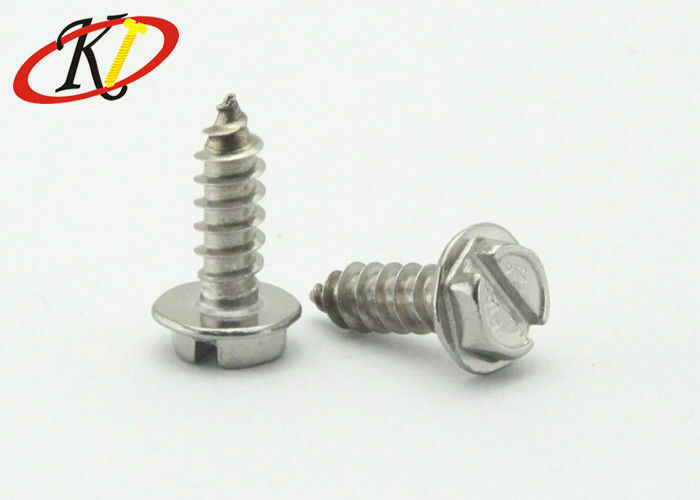 Self tapping screws (also known as Sheet metal screws) are essentially screws that can tap their own hole as they are driven into it. They are used extensively in plastics and thin sheet metal such as aluminium. The size of the pilot hole, which is helpful but not mandatory, depends on the thickness of the material being screwed into. Tapping Screws work bets for thin sheet metal becasue the screw design, which is coarse and pitched at an angle, has the effect of pulling the metal tightly to the head. For applications involving thicker sheet metal over 1mm, a self drilling screw (also known as Tek screw) is advisable. · 1. Well trained and experienced staffs at your service. · 2. Short lead time. · 4. Non-standard / standard / OEM / ODM / customized service provided. · 5. Designed in accordance with customers' request. · 6. Packed and delivered by customers' requirement. Q: Do you have in-house facility for planning, design& development on products? A: Yes, we do. We have several skilled engineers who can offer a control planning with process tolerance and inspections after seeing the drawings. Q: Could you issue the drawing? A: Yes, we can issue the CAD, PDF, Solidwork drawing as per customer’s request or samples. Q: How do you ensure the quality? A: 100% inspection. We use the Height Gage, Coordinate Measuring Machine, Hardness Tester, Video Measuring Machine, Roughness Tester, Torsion Tester, Salt Spray Tester and so on to test our goods. Q: How about your purchase & sourcing? A: We have in-house facility for purchase & sourcing. We have a system for vendor approval process which can keep our list of approved vendors current. Q: Could you pls tell me your manufacturing system? A: Of course. We have adequate in-house production facilities, adequate machine condition/capability, adequate process reliability. Our preventive equipment maintenance system also makes effort to manufacturing. Q: Does your company have a quality manual? Will your company share production techniques and processes for the purpose of developing a comprehensive quality? A: Yes, we can provide our customers with a quality mannal or PPAP Files if required. 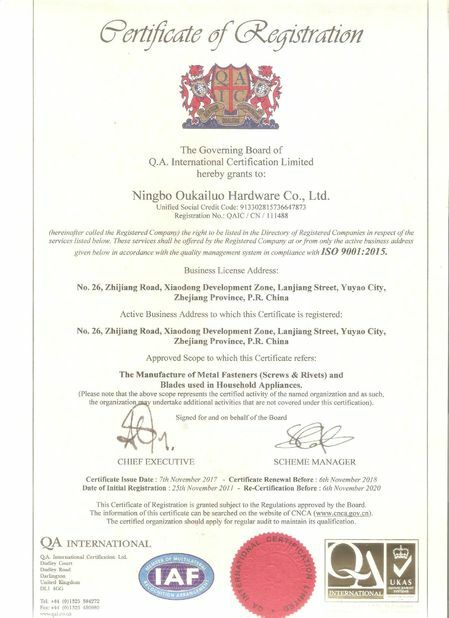 We're willing to share the techniques and process with our customers in order to achieve the products. If you are interested in screws or other fasteners, please do not hesitate to email us or call us. Our professional team will assit you to purchased the quality products.